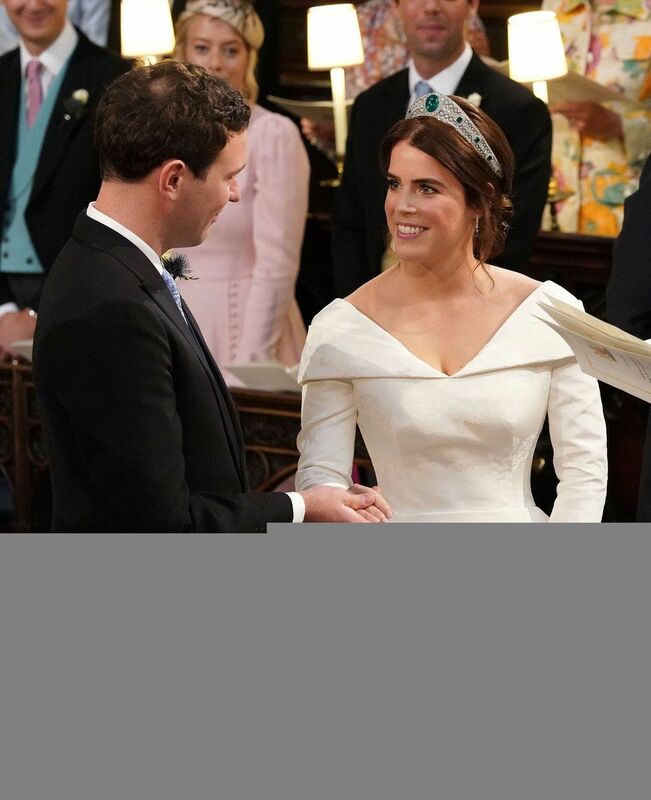 Princess Eugenie of York, member of the British Royal Family, married her longtime commoner boyfriend, Jack Brooksbank on Friday. 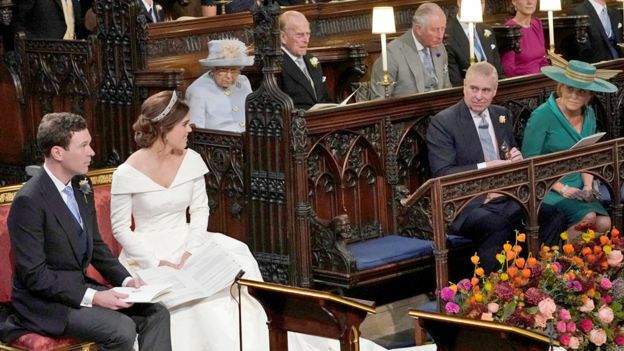 The couple exchanged vows at St. George's Chapel at Windsor Castle, in a lower-key repeat of the nuptials that enchanted the world when Prince Harry wed his American girlfriend Meghan Markle at Windsor Castle in May. 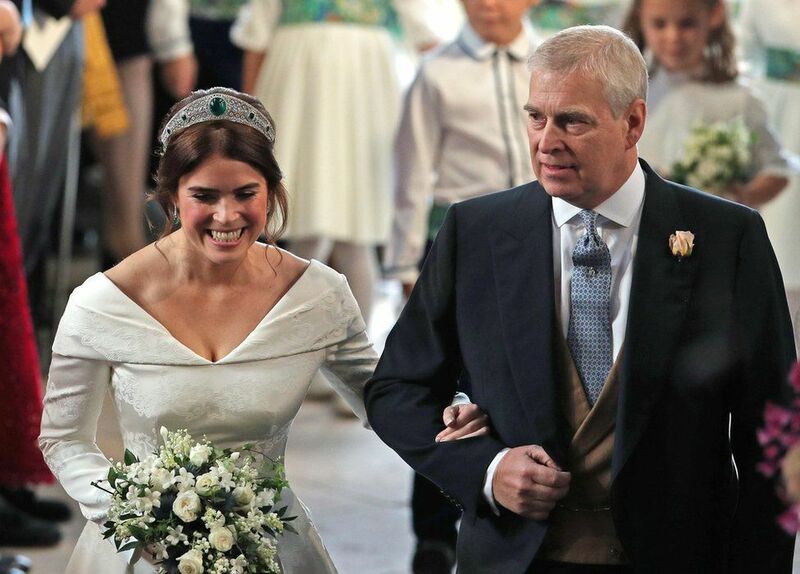 The 28-year-old Princess Eugenie is an art gallery director, and the younger daughter of Prince Andrew and Sarah Ferguson. 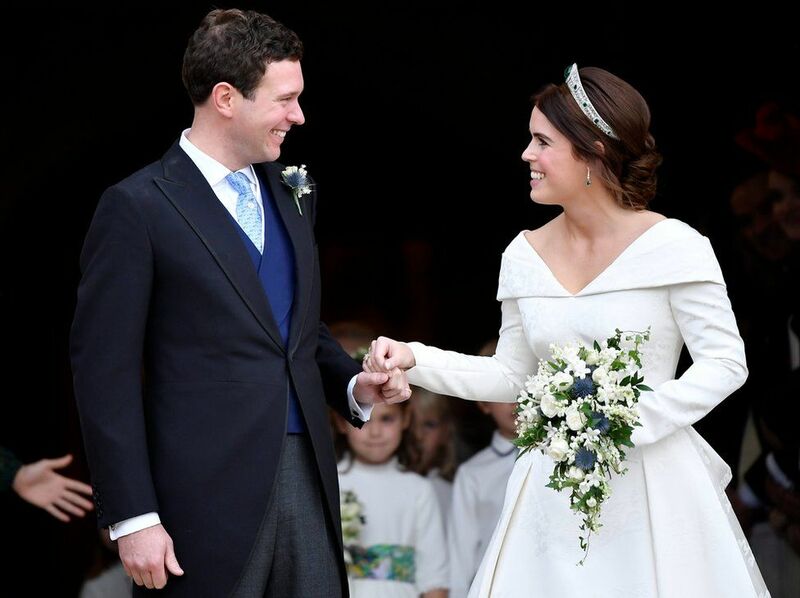 For the wedding, the princess wore a stunning Peter Pilotto gown and a royal Russian-style Grenville Emerald tiara.The bride's gown featured a fitted bodice and full pleated skirt with an off-the-shoulder neckline that folds around the shoulders to a low back that draped into a flowing full-length train.The wedding dress of princess was intentionally designed to expose Eugenie's scar that she received from her scoliosis surgery when she was 12. 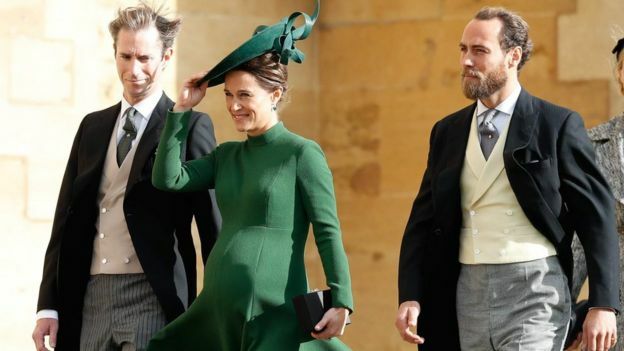 The Princess wore the Grenville Emerald Kokoshnik Tiara, lent to her by the queen. 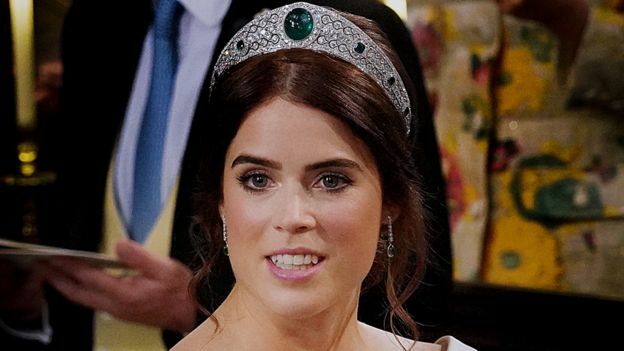 The diamonds-and-emeralds tiara was made by Boucheron in 1919 in the ‘kokoshnik’ style popularized in the Russian Imperial Court. 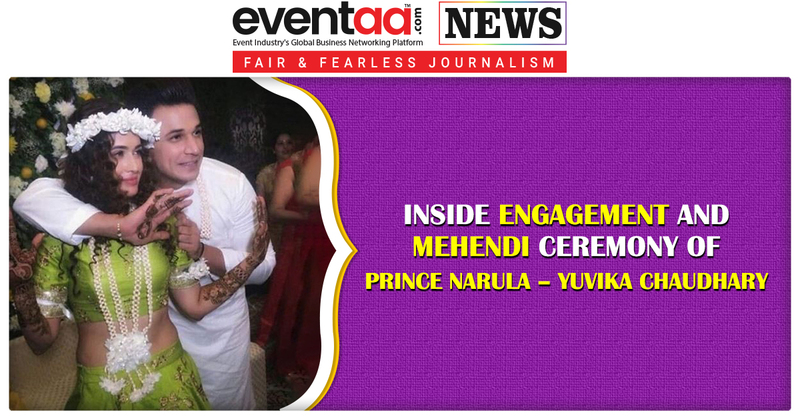 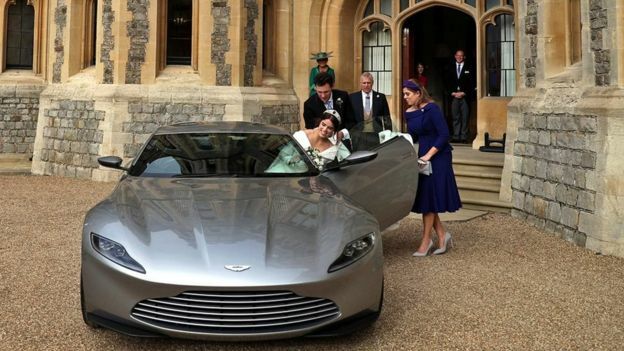 Her diamond and emerald earrings were a wedding gift from the groom. 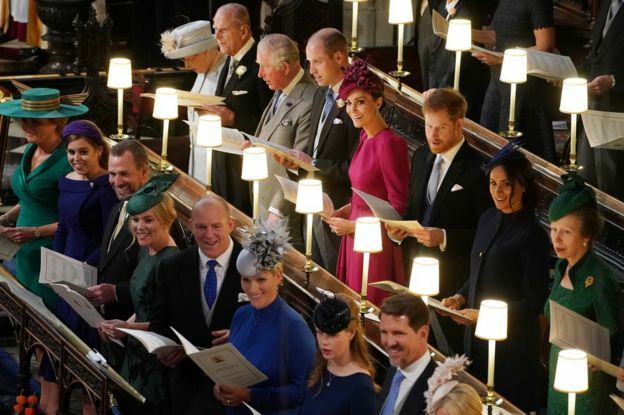 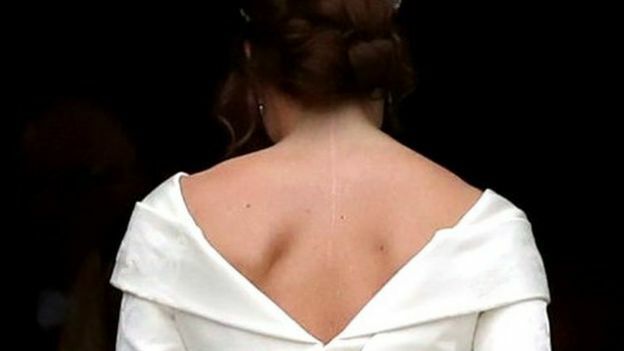 The ceremony was attended by the members of the British Royal Family - Queen Elizabeth II, Prince Philip, Meghan, Duchess Kate Middleton, Prince William and Zara Tindall, among others. 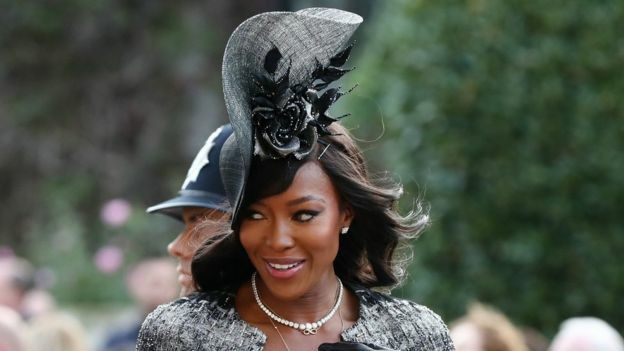 Several Hollywood celebrities were also present on the occasion, including Chelsy Davy, Prince Harry's former girlfriend who is a close friend of Eugenie. 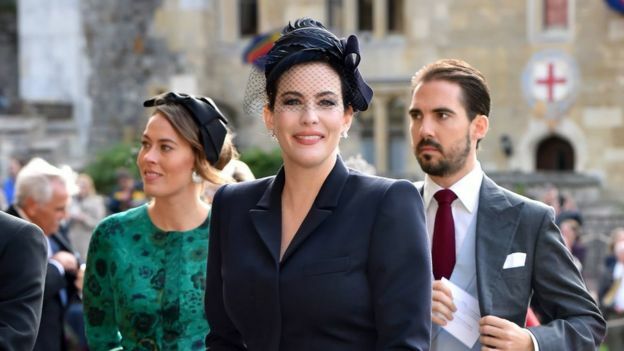 Liv Tyler, Kate Moss and Naomi Campbell were also spotted entering the church. 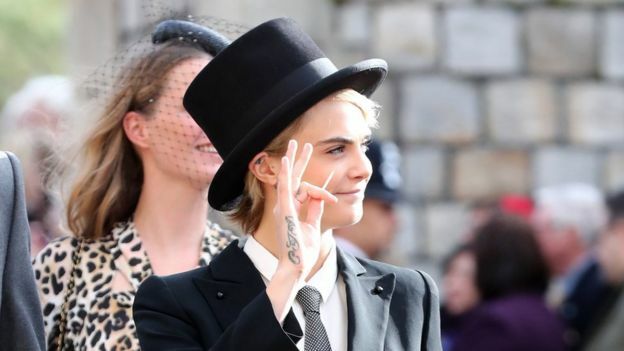 Cara Delevingne and Demi Moore were also there. 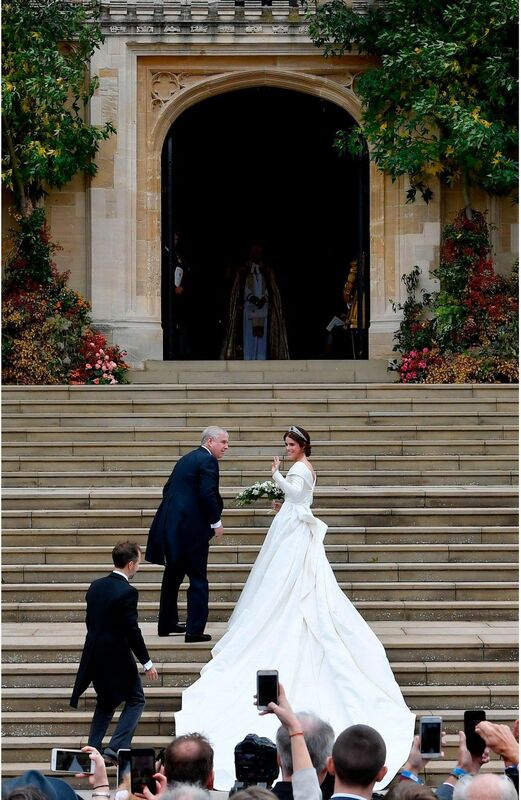 While Eugenie's sister, Princess Beatrice, was the maid of honour, Brooksbank chose his brother as the best man. 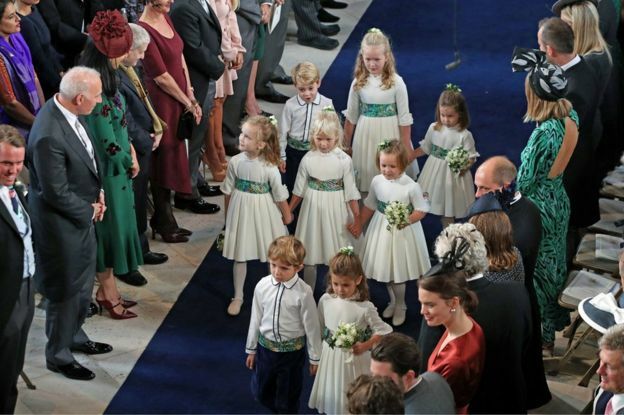 Prince William and Duchess Kate's two eldest children, Prince George and Princess Charlotte, served as page boy and bridesmaid. 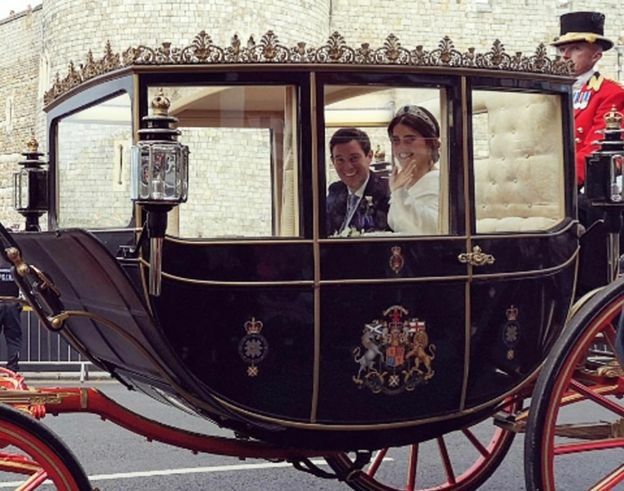 The royal bride’ groom, 32-year-old Jack Brooksbank is a former bartender turned tequila brand ambassador. 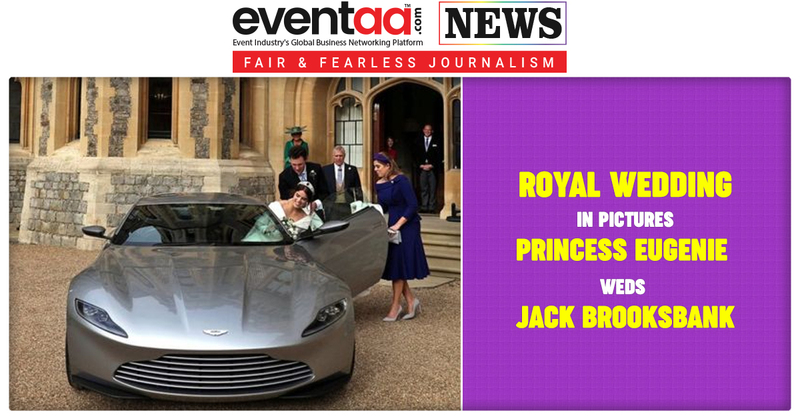 But it was a royal wedding which people of Windsor celebrates with joy.